This is a collaboration beer between Cismontane and Taps Brewing Companies that was brewed at the Cismontane brewery in Rancho Santa Margarita, CA. Draft service into a half-pint glass at the Cismontane tasting room in Rancho Santa Margarita. A: Slightly hazy, pale golden color with one finger of diminishing white foam head. Moderate lacing remains on the glass. S: Mild toasty grain, restrained bright citrus, and tropical fruit make for an unusual scent to be found in a saison. A fine thread of sweaty, cheesy yeast imparts a funky character reminiscent of Brettanomyces, although this is attributed to the Belgian farmhouse yeast strain used. T: Begins barely off-dry, with bright vinous fruit that brings to mind a juicy sauvingnon blanc or reisling. Early fruit flavors are layered appealingly, and intensely for the style, imparting bright citrus, zesty melon, and palate-filling tropical varieties. Acidity is present but balanced, comfortably in-step with the volatile flavors. Nuanced malt is detected in the middle, reminiscent of the light but focused pale malt found in Cismontane's recent Pandion pale ale. It combines well here with the characterful but restrained yeast to impart an airy sense of fresh bread that is kept company by dynamic fruit that turns more toward lemony. The finish is bone-dry, crisply peppery, and mildly bitter. M: Thin to medium viscosity, wet on the palate but with a bit of a lingering acidic burn, and with moderate to high carbonation. D: This collaboration project between Cismontane Brewing Co. and Taps restaurant suggests a level of proficiency and an adventurous spirit that neither operation has fully been credited for up until now. Appearing at the one-year mark of Cismontane's life, where it was brewed, it welcomes them into their second year of production fittingly. For Taps it is another notch in their rising profile as an Orange County brewery of note. For the world of American-brewed saisons it represents a revolution of sorts, where flavors as bold as other popular adopted American styles are matched nearly seamlessly with yeast character and light malts to produce a beer that is respectably strong, endlessly interesting, and still identifiable to traditional style. Hopefully this is just the first of many more collaborations between these two breweries, and hopefully they will all be as good as this saison. Consumed at the Cismontane First-Year Anniversary Party. Pours a white soapy head upon a murky yellow body. As it's been casked I'm not going to deduct points for any lack of significant head or lacing. Looks great, like any good saison on cask would. Aromas of farmhouse yeasts, mild lemon-like citrus, and that typical earthy grassiness. Exhibits a lot more sweetness in the nose than the majority of other saisons. Medium intensity. Complex and balanced flavors that include the aforementioned lemon, juicy oranges, some pepper from mid-point to finish, and of course the farmhouse yeasts blanketing the palate from start to end. A flavor profile that lies between the earthy Saison Dupont and the highly fruity/spicy Hennepin, with the cask aspect creating excellent freshness. The mouthfeel is thin to moderate, with an aloe-like viscosity blended perfectly with a dryness on the finish. Overall, I think we may have one of the most innovative American-brewed saisons I've had since Three Floyd's 'Rabbid Rabbit'. Cismontane chose their beer to cask carefully on this Anniversary party, and the gentleman I met who traveled from L.A. primarily to growler-fill this bad boy took back nectar from the gods to his tribesmen. 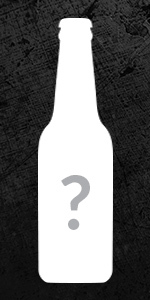 A: The beer pours a cloudy golden straw color with a couple fingers of white head. S: Starts off with straw and green apple on the nose. A strong malt base with notes of bread and crackers. There's a hint of banana in the background, as well as some spice and grass. T: The apple flavor is quite strong, and becomes more prominent as the beer warms. Lots of lemon zest notes, too. Light bread and malt flavors with some earthy notes, a bit of grass, and a rather unfortunate and aggressive bitterness. M: Medium in body with a moderate carbonation. O: This had potential, but the bitterness was just far too harsh. It would be interesting to age this one for awhile. App- A liquid butter gold with some lighter yellow highlights. A pure white capped 1 finger head with huge stick and cling to this one. Smell- A little straightforward on this one. You really get all the aromatics from this one in a nice balance. The saison notes come first with a bit of lemon, grape, pear and spice. The barrel notes come next with a little wood, earth and funk. A nice balance is struck between sweet/sour on this one. Taste- This opens as more of a sour beer with the tannins from the wine residual flavors from the barrels. A little bit of lemon and peach and then even some cantaloupe come into play on the taste. A little pepper from the yeast. A good blend to create a nice saison with a white wine barrel treatment. Mouth- A very lighter medium body on this one. I would dare say its a fuller lighter body. But not thin. A medium carbonation level had a good bit of dancing bubbles. A little bit of that lemon, melon and pepper were the trailing flavors on this one. Drink- A very nice beer. I was shocked to see this on tap as I hadn't heard about it before. Saison, sour and better. It's not a beer for everyone thats for sure. I would like to check out more from Cismonatne now.